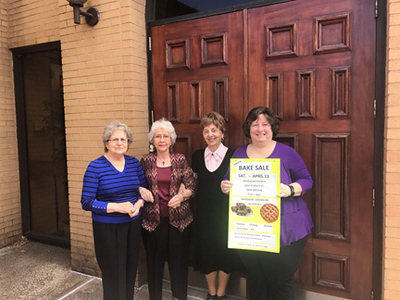 NEW BRITAIN - An abundance of delicious sweets will be available at a bake sale on Saturday, April 13, in the Abrahamian Auditorium of the Armenian Church of the Holy Resurrection 1910 Stanley St. The sale will run from 9 a.m. to 3 p.m. and is sponsored by the Women’s Guild. It will feature Armenian pastries and delicacies, including baklava, boorma, choregs (sweet rolls), yelanchee (stuffed grape leaves), simit and homemade string cheese. Proceeds will benefit the church. Posted in New Britain Herald, New Britain on Thursday, 11 April 2019 20:38. Updated: Thursday, 11 April 2019 20:40.